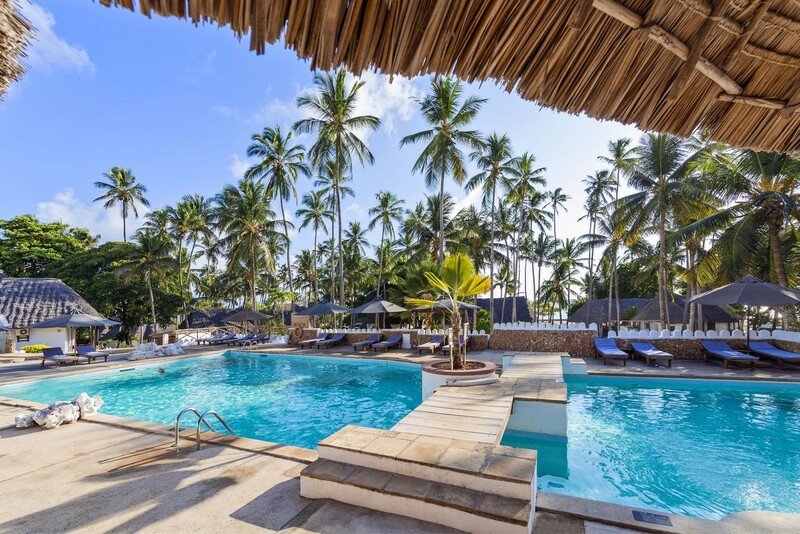 Diamonds Mapenzi Beach is one of the most established hotels on the island of Zanzibar and remains an excellent and affordable choice for people who want an action-packed holiday. Great value for money, it’s an unpretentious resort with a fantastic vibe; fun and involving. Accommodation is simple and comfortable, the water sport facilities are brilliant – windsurfing equipment and canoes are complimentary – the all inclusive package covers a choice of three restaurants – the buffet is one of the best on the island - and two bars plus a daily stocked mini-bar (soft drinks, water and beer) – it couldn’t be better! There is also the à la carte restaurant on the beach – but here a supplement is payable. The low tide on the East coast adds to the experience when you can walk out across the beach for 1.5 kilometres to the reef. 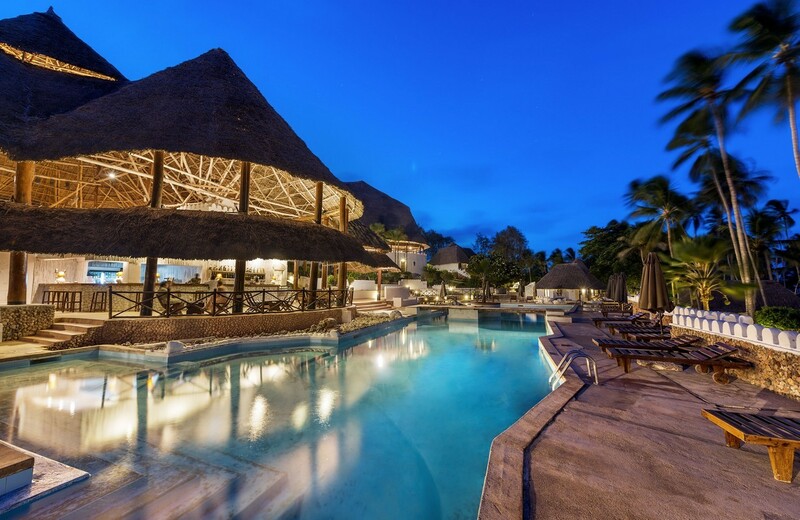 The resort has 87 rooms, split over 3 different categories on three different levels. 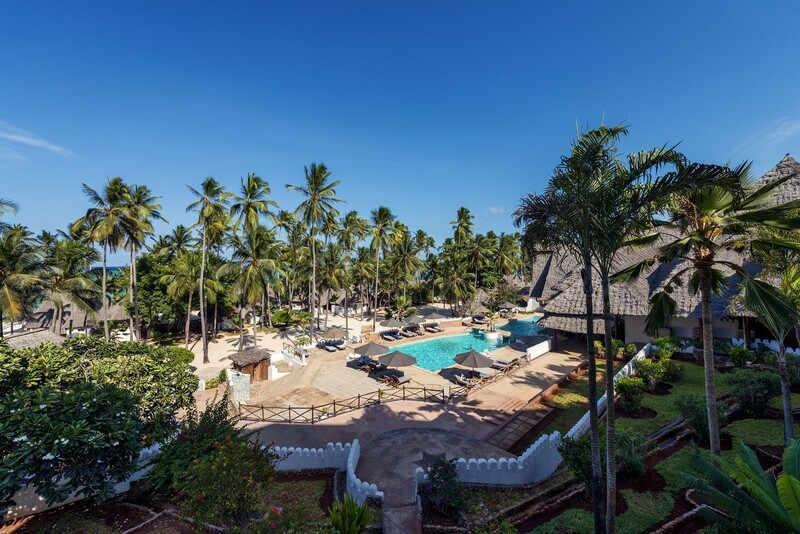 These rooms are situated on the higher level of the resort surrounded by beautiful gardens, all rooms are furnished in traditional East African style. Located on the mid-level with large private verandas. Located on the beach and have been refurbished in a sleek white theme. Serves buffet style breakfast, lunch and dinner. 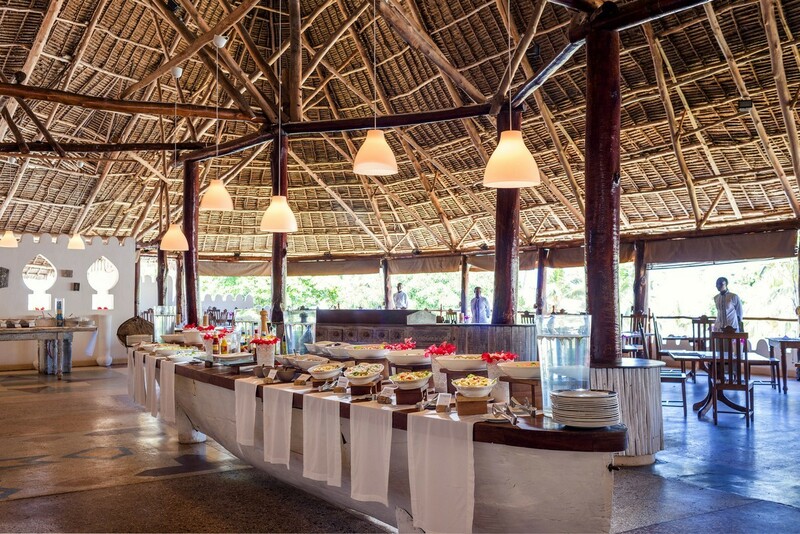 The cuisine is international and evening dinners are themed including an African Dinner once a week on the beach. Set near the beach, open for dinner. 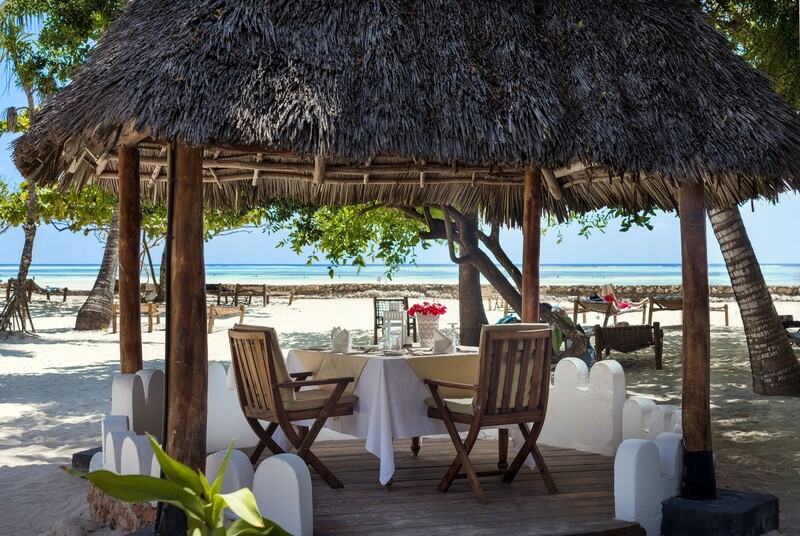 Located directly on the beach serving seafood specialities under small gazebos in a very romantic environment. Open for dinner only and reservations are essential. Serves snacks, soft drinks, fruit juices, beer, cocktails, house wine, tea and coffee from 10 am. After midnight all drinks are at charge. Premium brand liquors are available at charge. Serves snacks, soft drinks, fruit juices, beer, house wine from 10h00 to 18h00. Offers a light lunch menu on the beach. Open daily from 13h00 to 15h00. 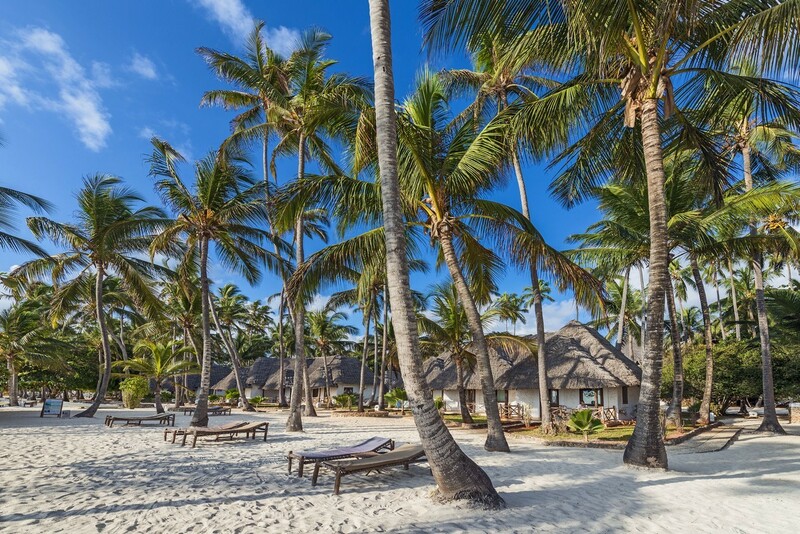 Mvua African Rain Spa – in Africa rain means life and the skilled therapists in this massage centre will relax and rejuvenate tired muscles using the natural ingredients of the island.